We have touched base on this briefly, but let’s take another look at your medical community. As a dentist providing care for patients suffering from sleep apnea, it is important to create a working relationship with the medical professionals in your community. Through the help of family doctors, ENTs, sleep physicians and other doctors, you can continue to provide your patients with superior care. One way to inform medical professionals of your practice’s commitment to Dental Sleep Medicine is to create a letter. Through an information-rich letter or newsletter, you can inform the medical professionals in your community of the availability of your services. This letter should be educational in nature so that other medical professionals can better understand what services your practice offers and the importance of creating a working relationship. By including all of this information, you can be better prepared to inform each medical professional in your area to take the next step toward a working relationship. An extremely important and beneficial option is for you to visit the offices of those medical professionals you wish to work with. When visiting their practice, talk to their office manager and referral manager, as well as the doctor. By introducing yourself to each member, you can make a lasting impression when it comes to treating patients. What I like to do is set up a luncheon. I will bring lunch for the doctor and their team so that I can get to know each member while also informing them of what it is that I do for my patients in the area of dental sleep medicine. Through this, dentists can showcase their strengths and their dedication to their patients. By properly marketing your practice, you cannot only reach your patients, but you can reach other medical professionals as well. 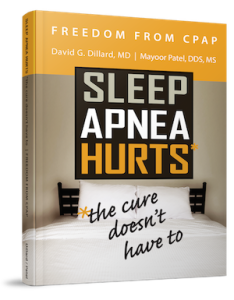 Within each avenue, be sure to include up-to-date information on dental sleep medicine, signs of sleep apnea, and how you can treat patients who suffer from sleep apnea. The more information you can supply your patients and the medical professionals in the community, the better. Contact Dr. Mayoor Patel for more information on how you can create a working relationship with the medical professionals in your community.